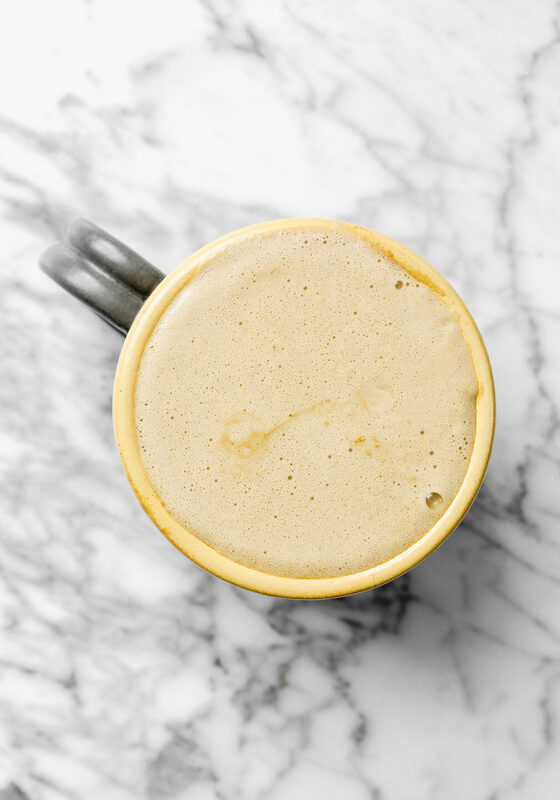 This frothy pistachio coffee is incredibly easy to make and even more delicious. 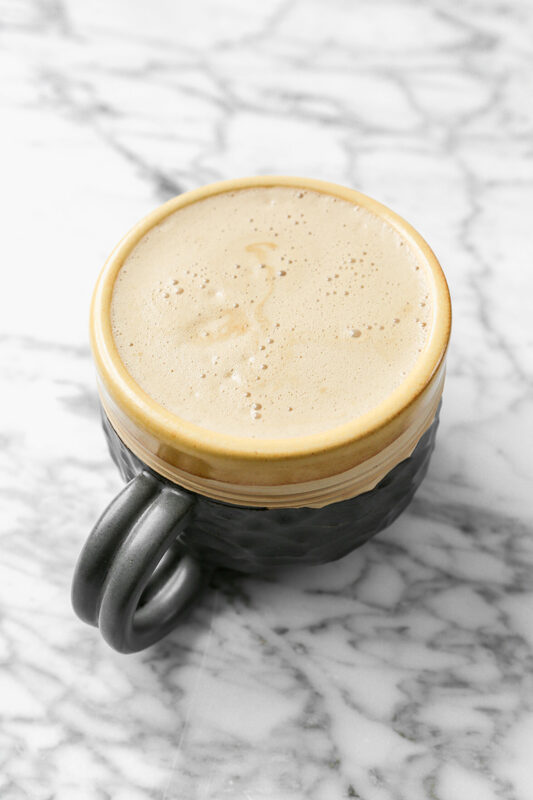 Nutty and frothy, this homemade specialty coffee drink is better than any latte you can get at a coffee shop. Pistachio coffee, intriguing, huh? I was recently inspired by Sprouted Kitchen and Pinch of Yum who were both making their own version of cashew coffee. And with no cashews on hand, I thought why not give pistachios a try. I get it, it sounds weird. You’re wondering if the coffee will have all sorts of chunks in it, or if it really gets this frothy. I’m here to tell you, it does get this frothy, and no, it isn’t chunky. Other than the delicious nutty flavor, you’d have no idea this was made with whole nuts. ). with liquid of choice (water for nut milk, coffee for a latte). Aside from the liquid used, the only difference between making nut lattes and nut milks is that you don’t need to strain the latte through a cheesecloth like you do with nut milk. 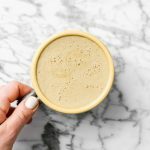 Overall, if you’re a lover of coffee and enjoy a latte from time to time, give this Pistachio Coffee a try, I promise it’s a pleasant surprise. This frothy pistachio coffee is incredibly easy to make and even more delicious. 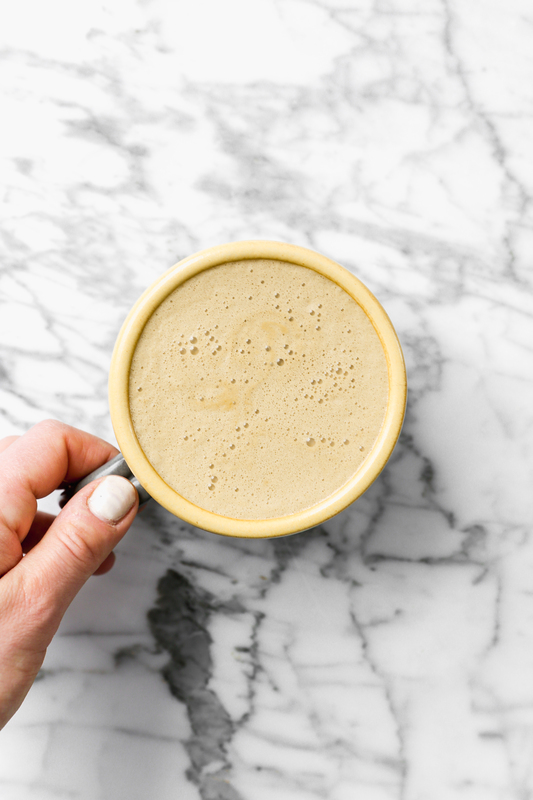 Nutty and frothy, this specialty coffee drink is better than any latte you can get at a coffee shop. Soak pistachios in hot water for at least 1 hour, then rinse and drain. Peel skins from pistachios, then transfer to a blender (preferably a high-powered blender). Combine coffee, espresso powder, and honey or date in a saucepan; bring to a simmer over medium heat then transfer to blender with pistachios. Add vanilla, salt, and cardamom (if using) blend on high 1 minute. You can easily use almonds or cashews in place of pistachios. I prefer to use roasted because it adds an additional depth of flavor, but opt for unsalted so you can control the salt level to your preference. So intriguing! I love the inspiration here, sounds tasty too! Just tried this and loved it! So simple yet so delicious and creamy. I’ll definitely be making this more regularly. Yay! I’m glad you enjoyed it Heather!